Keeping your Ada safe is a top priority for most people using Daedalus wallet. Loss of access to Ada in your wallet as well as the chance of unauthorized transfer from your wallet (theft/hacking) can be reduced if you follow these guidelines. You should be aware that by using Ada there is a risk of theft/hacking and people do report instances of theft/hacking to us. It's your responsibility to become informed about the risks around using Ada, and stay up to date on those risks. IOHK is not going to return your Ada, we do not have them, you do, and only you can control them, no one else including IOHK has control of your Ada. Find out how to stay safe online and how to report inappropriate activity in the Cardano community. Keep your 12-word Daedalus wallet recovery phrase safe and confidential. You can check your 12-word Daedalus wallet recovery phrase to see if it is valid. 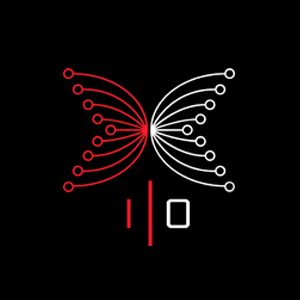 Many people contact the IOHK Technical Support Desk asking what to do if they have lost their 12-word Daedalus wallet recovery phrase. The answer is that in many situations there is no way to recover Ada in a wallet for which there is no 12-word Daedalus wallet recovery phrase. If you are lucky, when you find that you have lost your 12-word Daedalus wallet recovery phrase and if the wallet is working and if you can transfer funds from the wallet then you should do so immediately for example to another wallet for which you do have the 12-word Daedalus wallet recovery phrase. The Daedalus paper wallet is a bit like the key to your car or cash only more sensitive.